Nubia on Thursday launched the Nubia Z17 mini at an event in China. At the same event, the company also introduced the NeoAir VR 360-degree camera, a first from the Chinese smartphone maker. The Nubia NeoAir VR Panoramic Camera is priced at CNY 699 (roughly Rs. 6,500). The company has not revealed availability yet. 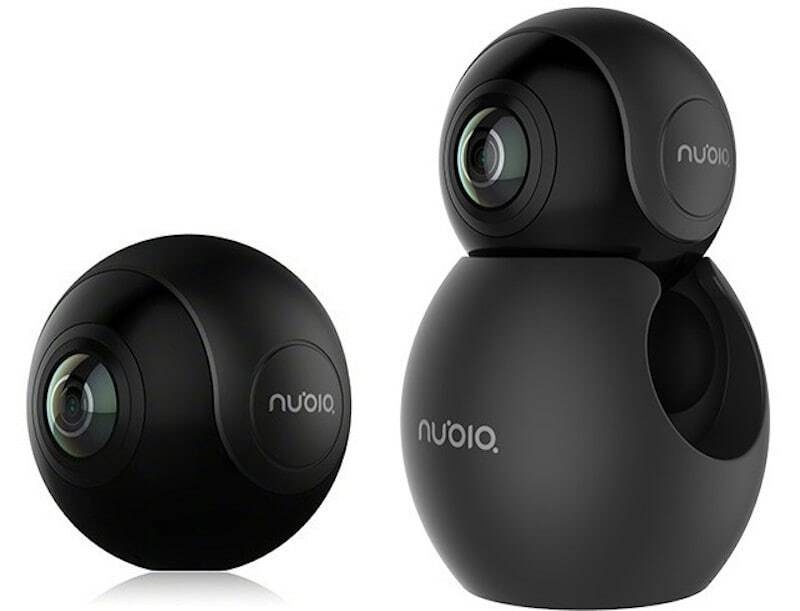 The Nubia NeoAir VR Panoramic Camera can record and capture 360-degree panoramic videos and photos. It features two 210-degree fish-eye lens on either sides and you can preview the photos or videos by connecting the camera to a phone via a USB Type-C port. This naturally means that the camera will only support USB Type-C smartphones, which Nubia says includes phones like Xiaomi Mi 4c, Huawei Mate 7, Meizu MX5, Vivo X7, Nubia Z17 mini, Nubia Z9 Mini, and Z7 Max among others. Furthermore, Nubia also says that compatible phones will need to support Android 5.1 or later, at least 2GB of RAM, Qualcomm Snapdragon 600 or 800 series or MediaTek Helio X series, Exynos 7410/8890 or flagship Huawei Kirin 9xx series SoCs. The Nubia NeoAir VR is touted as the world’s smallest panoramic camera that weighs only 26.5 grams. Incidentally, another Chinese manufacturer by the name of Xiaomi launched a Mi Panaromic 360-degree camera on Thursday. Xiaomi’s camera features a 23.88-megapixel sensor, which can capture videos in 3.5K resolution. Unlike the NeoAir VR, the Mi Panaromic 360-degree camera can be connected through Wi-Fi 802.11 b/g/n, Bluetooth 4.0, and Micro-USB 2.0. Meanwhile, the newly launched Nubia Z17 mini sports a 5.2-inch (1080×1920 pixels) full-HD display with a 2.5D Curved Glass on top. Powering the phone is an octa-core Snapdragon 652 or 653 processor (depending on the memory variant) with Adreno 510 GPU and 4GB or 6GB of RAM. The main attraction of the Nubia Z17 mini is its dual 13-megapixel rear cameras, one with monochrome lens and the other one with RGB lens, and 16-megapixel front-facing camera. The smartphone is priced starting at CNY 1,699 (roughly Rs. 16,000) and will go on sale in China from April 13.